Have numerous parts for sale and would like to know where to view or purchase parts catalogue. Only ones I can find are small parts would like one with motor transmission, etc. I need the hood hinge,and a door hinge for front door passenger side lower hinge.Hope you can help. 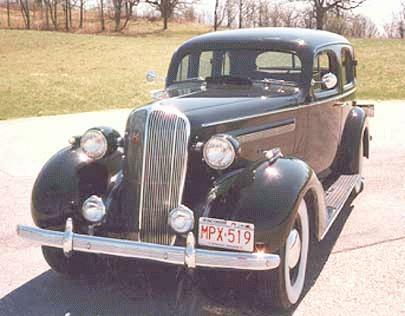 Please send a list of the parts for the 36 buick that you have. Do you still have the parts from the 36? Need hood ornament and front bumper for a model 90 1936 Buick. Doors for 1936 special or century and center pillars. Looking for tail lights for a 36 buick and running board spears. Let me know if you have them. what parts do you have left to sell? thanks Dino. Just found your posting, do you happen to still have any parts for the 36, looking for body parts such as emblems, trim pieces, front bumper. Please get back to me. I am looking for a 36 buick steering wheel...do you have one?